Vanguard is under siege. 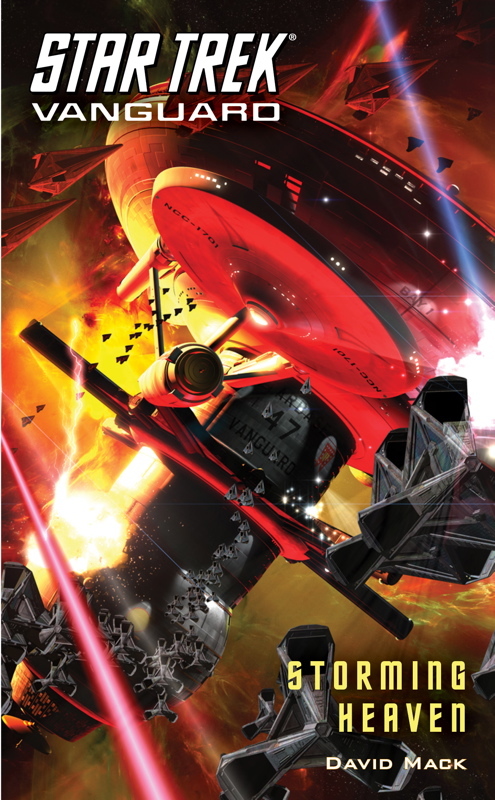 Surrounded by enemies, Admiral Nogura sends the scout ship Sagittarius to find an ancient weapon that might be the Federation’s only hope of stopping the alien threat known as the Shedai . . . Qo’noS is wracked by scandal. Councillor Gorkon fights to expose a Romulan plot to corrupt members of the Klingon High Council, only to learn the hard way that crusaders have few allies, and even fewer friends . . . Tholia teeters on the brink of madness. To prevent Starfleet from wielding the Shedai’s power as its own, the Tholians deploy an armada with one mission: Kill the Shedai—by destroying Vanguard.